Posted on June 22, 2009 at 9:27 am. 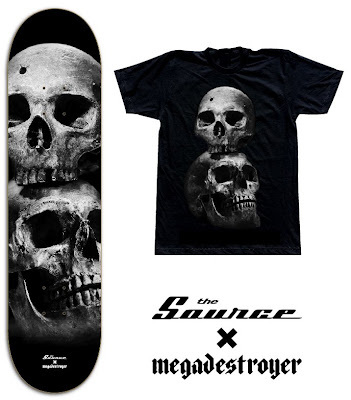 The Source teamed up with our friends at Megadestroyer and killed it with this amazing new deck and t-shirt. Death, Skulls….. need we say more? Available at all our stores and online here.